While it's clear that these designs come from an artist that's incredibly skilled, you might not know that it comes from someone who's also an amateur inventor. 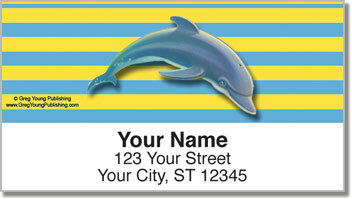 That's right, Artist Kerne Erickson has refined his craft with a number of gadgets in his studio. This includes a tall, wooden device made to scroll huge rolls of canvas and an easy built from an auto shop hydraulic jack. 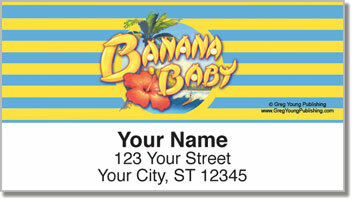 Now you too can be an innovator with these fun, tropical address labels. 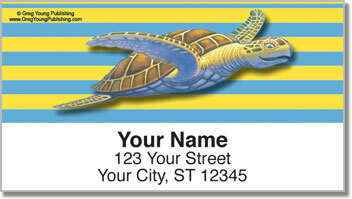 They save time on the tedious work of addressing mail, and are sure to bring a smile into everyone's day. 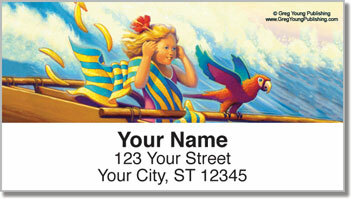 Order these lovely address labels today and get shipping absolutely free!